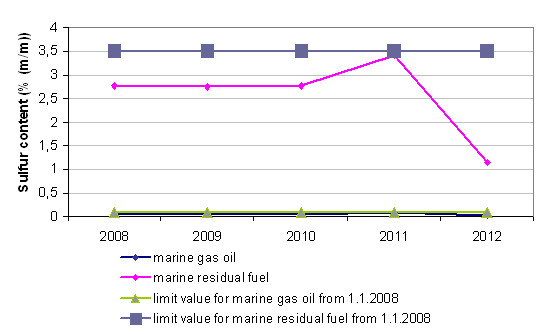 The decrease in SO2 emissions from transport significantly affects the tightening of legislation concerning the concentration of sulfur in liquid fuels. 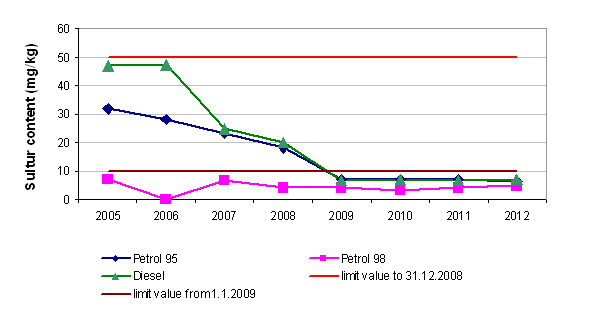 Limited value of concentration of sulfur in fuels used in road transport in 2012 was not exceeded, the same applies to air and maritime transport. 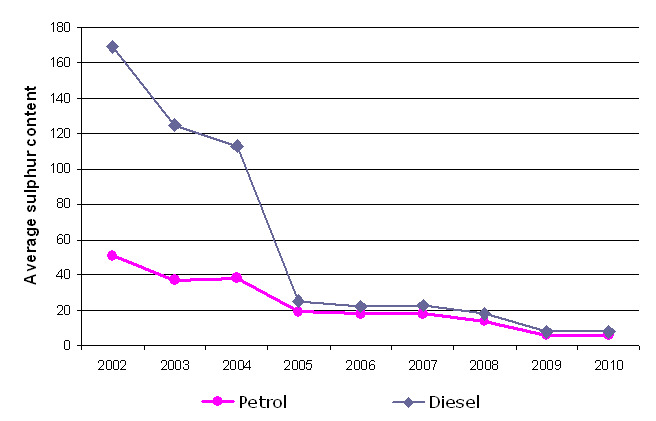 In the last several years the lead in liquid fuels (in road transport) is no longer present, the measurement of benzene are lower than the prescribed value. 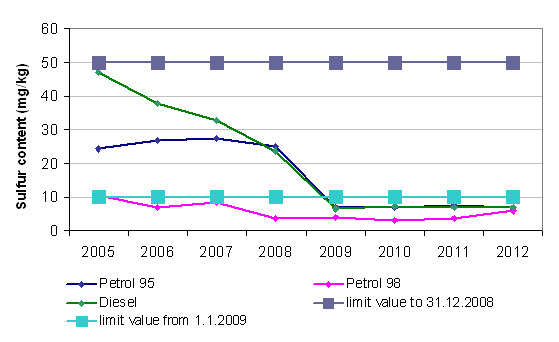 EU Fuel Quality Report, Slovenia 2005-2012. 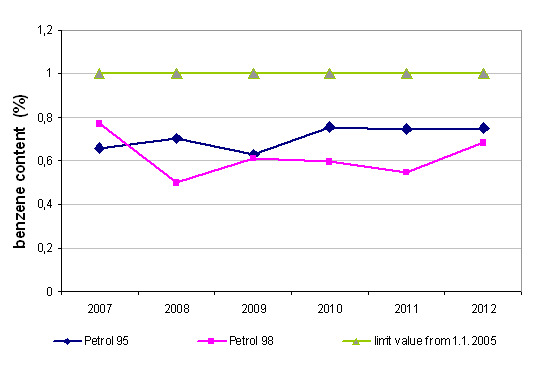 *Note to Figure PR17-1: the concentration of sulfur in the fuel 98 octane for the years 2005 and 2006 are shown only in the table. * Except for France, which did not submit reports for the period 2003-2005. * Except for Malta, which had not submitted reports in 2006. *** Except for Luxembourg, it did not submit reports for the years 2007 and 2008, and in 2009 did not report any data.